You do not want to spend too many days in Paris, it is too much money. Or so we have heard. 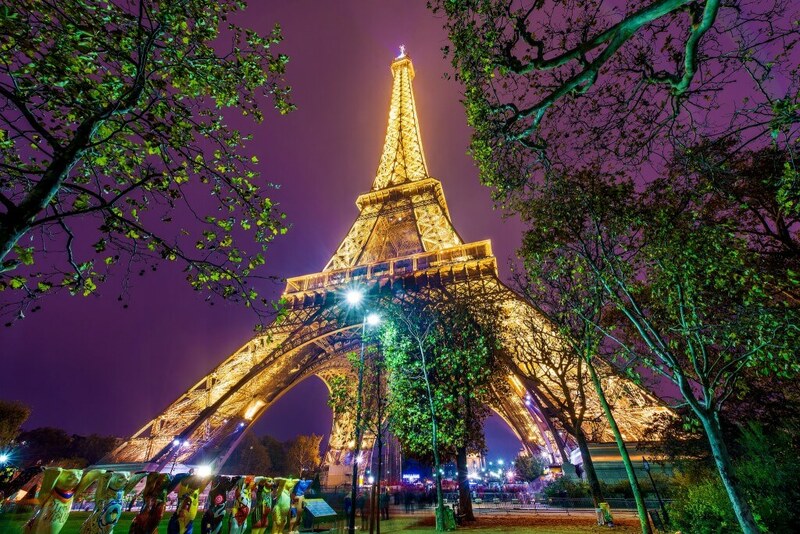 The best part about Paris is that it is so rich in its architecture and heritage that you need not shell out many bucks for a gala time in the City of Lights. So, is it time to traverse the land of fashion, happening vibes and delicious cuisine with your friends and family? We assure you, following these 7 amazing tips will get you on a hassle free holiday to Paris on a budget. 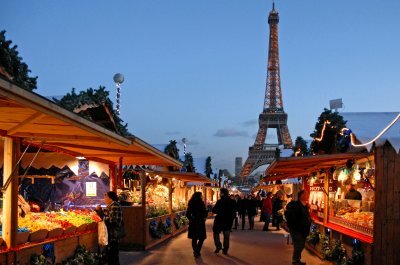 If you wish to have a smooth holiday in Paris with your loved ones, this guide about the best travel tips will surely help you on your way. Scroll down to know what all you should keep in mind! France’s gourmet delights and quaint interiors of the restaurants attract a lot of tourists. But there are ways to get a glimpse of Paris’s world-famous food culture while still keeping your pockets heavy. Skip the restaurants or bistros, especially for breakfast. Savor the golden croissants and chocolate-filled pastries with a cup of coffee at the local boulangerie (bakery). 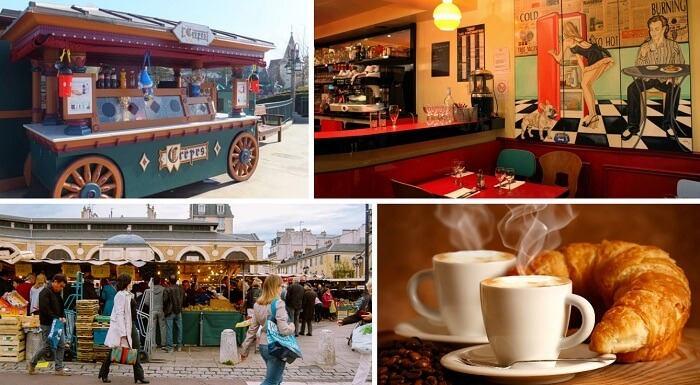 Opt for the Parisian food carts with meals priced as low as €5. ‘Take-away’ options are cheaper than ‘have-it-here’. Latin Quarter offers many fixed 3-course menus for the tourists that are much cheaper than standard 3-course meals. Brunch and dinners are much expensive than lunch menus. Often, the same meal you had at lunch is offered at twice the price for dinner. Bars and restaurants in Butte aux Cailles offer dishes from €7-€10 and glasses of wine for €4. You can purchase cheap and fresh groceries at outdoor food markets, and cheaply priced boxed wines from local supermarkets. Pack a picnic and have it anywhere you find perfect for the meal. To enjoy the best stay in Paris, you need to ensure that it doesn’t hurt your pocket. Yes! Cheap lodging is possible. Take refuge in the house of locals with couchsurfing, swap houses, share a room with other tourists in a hostel, or live in Halle Pajol – a former warehouse – that offers dorms as well as private rooms. The biggest cost, however, is usually the cost involved in getting there. But fret not, for these tips will help save on the cost of airline tickets. Tickets are cheaper during November – March and costliest during August. Mid-week flights are much cheaper than weekend flights. So book a flight on and for Tuesday – Thursday. Booking tickets 3 – 4 months in advance can reduce the flight cost by up to 50%. To enjoy the numerous picturesque sights and boutique monuments, you will have to travel a fair bit. Needless to say, all this travel is going to add on to your trip cost. But hey! We have just the right hacks to ensure that the same doesn’t burden your pockets while you’re on your holiday in Paris on a budget. Exploring the city on foot, especially at night is obviously a budget choice. Paris offers 5 daily DiscoverWalks walking tours: Paris Landmarks, Notre Dame, Montmartre, Latin Quarter, and Marais. But it is indeed the Paris Rando Velo’s free bicycle tours every Friday evening and every third Sunday morning that is most famous amongst the tourists. A €10 boat ride on Bateaux Mouche gives a different perspective of the city landmarks and great pics too. 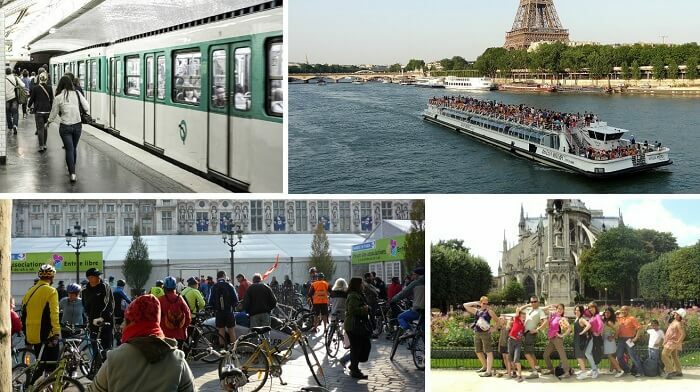 Rent out Velib bikes with €1.7 daily and/or €8 weekly passes. To avoid additional charges, use the bike for 25 minutes at a stretch, put it back at a Velib station, and take it again after 5 minutes for further journey. Though Hop-On-Hop-Off Bus sightseeing is available, but it is cheaper to take the backseat of a regular bus and take pictures. A one-day €7 Mobilis travel card offers unlimited metro rides in Central Paris that is the tourist hub of the city. 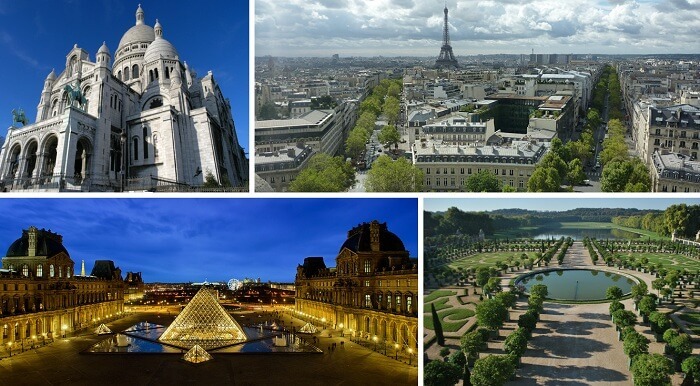 And of course, one visits Paris for its many grand museums and monuments, beautiful architecture, and the lush gardens. With the following city hacks, you can be sure to explore the city while saving a lot of bucks. On first Sunday of every month, one can visit the permanent collections in national museums, such as the Musée de Cluny and Musée Carnavalet, for free. 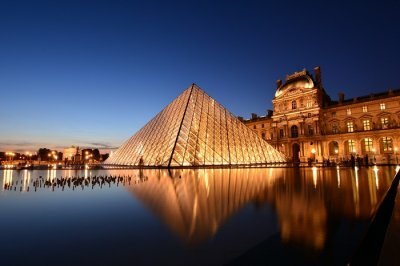 The most famous Louvre can be visited for free during November – March or you can simply peep in through the glass windows on any night for a free view. For EU citizens aged 18 – 25, entry to these museums is free on all days. Students, up to 18 years of age, from across the globe can visit the museums for free on any day. 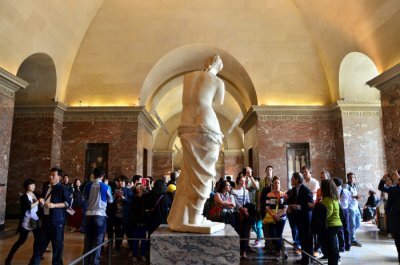 Others can buy a cheap Paris museum pass that covers entry fee to most of the museums. Famous gardens, such as the Garden of the Tuileries, the Luxembourg garden, the Place des Vosges, and Belleville Garden, can be visited free of cost. 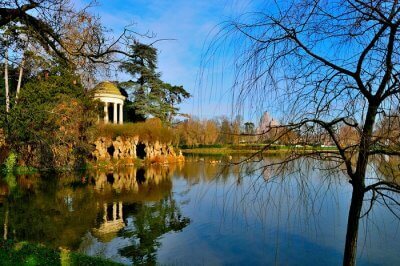 Visit to Versailles Garden is free. A nominal fee is charged if you wish to visit the castle. The Sacré-Coeur church is another famous monument that charges no fee for visits. Avoid the queue and excess charges for going to the top of Eiffel Tower. Instead, have a view of the Eiffel Tower and the city from the top of Arc de Triompie for a meagre fee of €8. An alternate for Arc de Triompie is the Montparnasse Tower. Finding souvenirs unique to Paris need not be costly. These killer tips will ensure just that. So, while you’re out and about on your next holiday to this mesmerizing fashion capital, make sure you visit the following places to shop the best products to take back home for your loved ones. Your Paris on a budget travel can be even more happening as you’ll have plenty of stories to tell everyone! 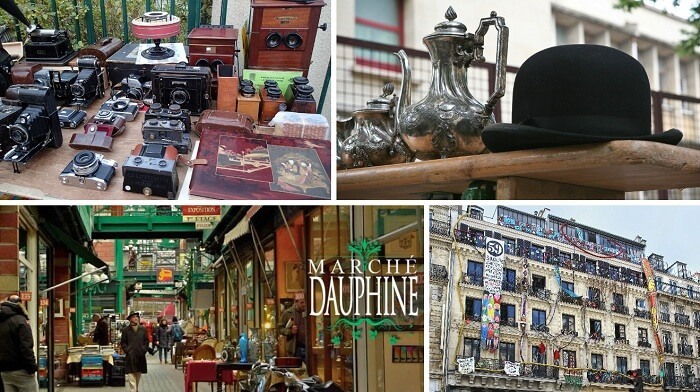 Visit Marché aux puces de la porte de Montreuil, 59 Rivoli, or Vanves for art, furniture and vintage trinkets. Flea markets on Saturdays, Sundays, and Mondays are best to purchase cheap books, antiques, and other souvenirs. Oh and why not find time to enjoy some music, dance, nightlife, and other entertainment. And of course, we know the deal. It has to be in budget, right? 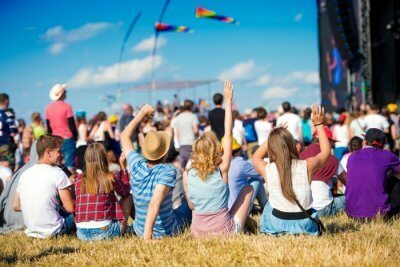 So here are quick tips on budget entertainment activities to do in Paris. 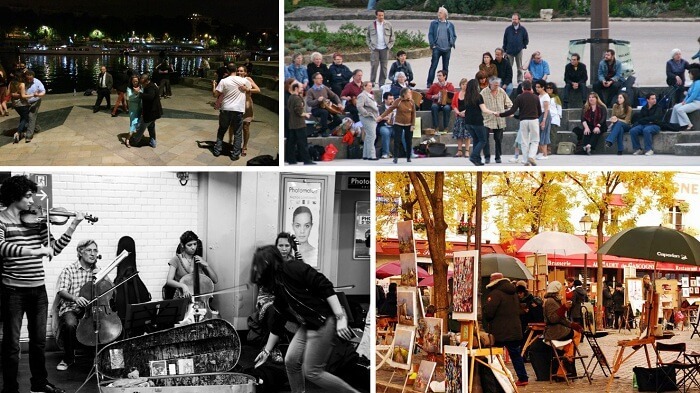 Enjoy free dancing on old French music on the Left Bank on Sundays. From little kids to old couples, you will find Parisians of all ages dancing their hearts out on the classic music. From solo violinists to the swing bands, musicians of all hues and genres can be found performing at the Paris Metro Stations. Visit the chic 10 Bar for its jukebox and €3 drinks. Enjoy salsa, swing, tango, and traditional French folk dances at Quai Saint-Bernard for the midnight entertainment. At Place Du Tertre, artists gather with their easels. You can see them paint live some amazing art pieces and get art tips; all this for free. So is budget still a constraint? We hope not! 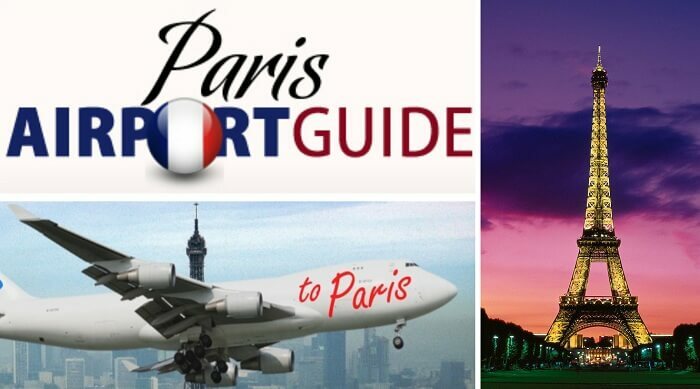 Get your bags packed and experience Paris like never before with the help of this guide. While you plan your holiday to Paris, apply these cost-cutting hacks, and let us know how effective they were. Make sure you pack a few extra clothes in case you change your mind!